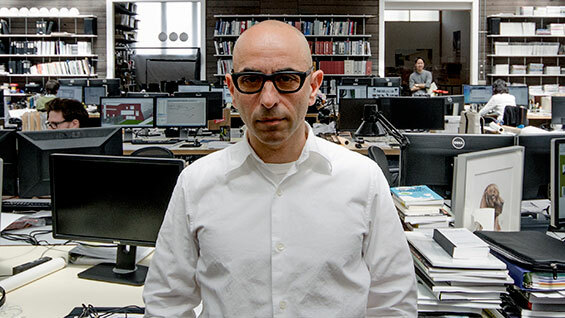 Nader Tehrani, a professor of architecture at the Massachusetts Institute of Technology (MIT), has been appointed dean of the Irwin S. Chanin School of Architecture at The Cooper Union for the Advancement of Science and Art. He joins Cooper this month. Tehrani served as the head of MIT’s Department of Architecture from 2010 to 2014. He is principal of NADAAA, a practice dedicated to the advancement of design innovation, interdisciplinary collaboration and an intensive dialogue with construction practices. The firm has offices in Boston and New York City. For over 25 years, Tehrani worked to motivate academic research to change practice and to test new protocols in the context of academia. His own research targeted material culture as the basis for speculation—exploring material properties, negotiating materials and their geometric predispositions and challenging the means and methods of building processes. Working between the digital realm and the medium of mock-ups, he seeks to simulate and generate alternative approaches towards tectonic studies. The work developed through a series of installations including “Fabricating Coincidences,” The Museum of Modern Art (1998); “Immaterial/Ultramaterial,” Harvard University (2001); “Change of State,” Georgia Institute of Technology (2006), and “Catenary Compression,” Boston Society of Architects (BSA) Space (2015). As the principal and founder of Office dA, Tehrani has been recognized with the Cooper Hewitt National Design Award in Architecture (2007), the U.S. Artists Fellowship in Architecture & Design (2007) and the American Academy of Arts and Letters Award in Architecture (2002). He has also received the Harleston Parker Medal for the Northeastern University Inter-faith Spiritual Center (2002) and the Hobson Award for Georgia Tech’s Hinman Research Building (2012). Tehrani has received 16 Progressive Architecture Awards as well as numerous American Institute of Architects, BSA and ID awards. In 2013 and 2014, NADAAA was the top ranked practice in design of Architect Magazine's Top 50 Firms in the United States. More recently, Tehrani has brought his academic and professional experiences together through a series of institutional projects that sought to test out new spaces of academic engagement. Having won the commissions of three schools of architecture, Tehrani completed the Hinman Research Building at Georgia Tech and the Faculty of Architecture, Building and Planning at the University of Melbourne. He is currently working on the completion of the new John H. Daniels Faculty of Architecture, Landscape, and Design facility at the University of Toronto. Tehrani received a B.F.A. and a B.Arch from the Rhode Island School of Design in 1985 and 1986, respectively. He continued his studies at the Architectural Association School of Architecture in London, where he attended the post-graduate program in history and theory. Upon his return to the United States, Tehrani received the M.A.U.D. from the Harvard University Graduate School of Design in 1991.